News came out yesterday in Roll Call that "in the hours after President Donald Trump said on an Oct. 17 radio broadcast that he had contacted nearly every family that had lost a military servicemember this year, the White House was hustling to learn from the Pentagon the identities and contact information for those families." That's called back-filling to protect your backside. News this morning: reporters for The Atlantic talked to "multiple families who received expressed-shipped UPS packages from the White House on October 20th (Friday), which had been shipped on the 18th." Oh, so what! you shout. He's doing it, ain't he? He's performing presidential duties. The rent's paid, even if it's late. That's what Judge Judy says. So lay off! Yes, and I didn't want to touch this week's main entrée of Gold Star Families served up for gawking partisans everywhere. Didn't want to write about it, because there's just too much pain all around, including the pain Mr. Trump may have felt if he realized he handled that call to Myeshia Johnson poorly -- didn't know La David's name, was afraid to pronounce the wife's name, and said something about "he knew what he signed up for" in such a way that it was instantly taken very wrongly and very badly. Yes, I was prepared to cut Trump some slack. 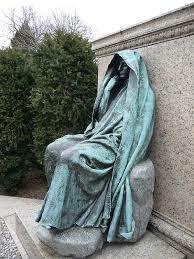 Everybody has trouble with those condolence calls to soldier's families. Anybody would. But Trump is special, as we know. He lacks empathy and can't fake it. Plus -- plus -- he was on speakerphone to an audience of women already primed to hate his guts, including a partisan member of the US Congress perfectly capable of exploiting the available politics. So I discounted the congresswoman's spin on what Trump supposedly said. Then came General John Kelly. God! If he'd only stopped talking before he got to insulting Congresswoman Frederica Wilson! If he'd only stopped before he got to "we've lost what used to be sacred…." Wilson had made herself a spectacle of condemnation. That's on her, General. Don't splash that puddle! But Kelly stomped and up splashed made-up stuff about what the Congresswoman had supposedly said and could be blamed for, along with a personal insult -- "empty barrel" -- that was just downright mean. 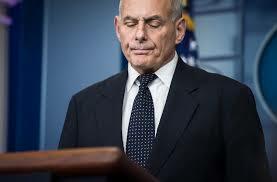 Subsequently discovered videotape proved that what John Kelly said about Wilson was faulty memory of a public event at which the Congresswoman spoke, very self-servingly, according to General Kelly. He was stunned, stunned, by her behavior back then, he emphasized, and is more stunned by her now. We're pretty stunned by General Kelly. We're beginning to believe Josh Marshall's explanation that Trump is poison and poisons everything and everyone he touches.